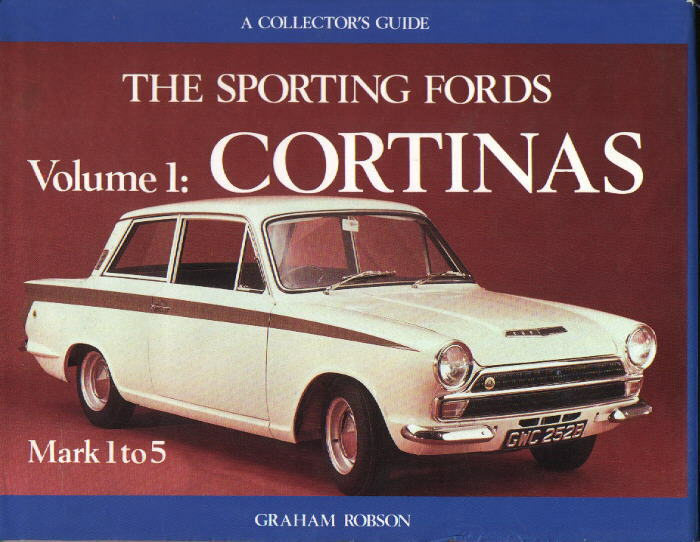 Graham Robson has put together another interesting, informative book on the Cortina line, in this one, concentrating on the titled "Sporting" Ford Cortinas, MK1 - 5, including the Cortina GT, Lotus Cortina and 1600E. Lots of black and white photographs are included in the landscape format 136 page hard-cover book, first published in 1982 by Motor Racing Publications, Croydon England, ISBN # 0 947981 39 X. It is part of the "Collector's Guide" series. No longer published, it is only available through collectors on the used market.